Britain's biggest 457 classic cars collection for sale for £100m - Daily Mail. V&A car exhibition to mark 'most important 20th century object' - "Museum will feature 15 vehicles from the Ford Model T to the Patent-Motorwagen No 3." Brooklands Museum - since 1907. "The Birthplace of British Motorsport and Aviation, Home of Concorde." 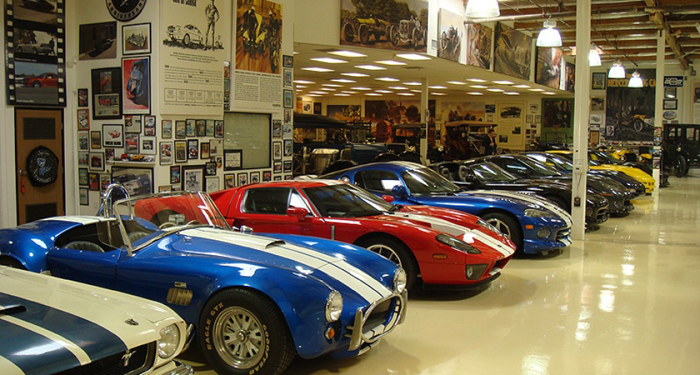 Weybridge, Surrey, England, U.K.
PETERSEN AUTOMOTIVE MUSEUM - since 1994. 6060 Wilshire Blvd, Los Angeles, CA, U.S.A. "The Petersen Automotive Museum is America's premier automotive museum."